I've been a Brooke White fan since her American Idol days. I knew that she would be exactly the kind of artist I would want to feature here on Passionista Presents. Then she released her solo album, which I really love and still listen to often. Now, she has combined her beautiful voice with Jack Matranga to create the duo Jack and White. It's creative genius from the band name to the memorable lyrics to the catchy melodies. Last summer, they released their debut EP, Gemini, which is a great introduction to their music and I have featured their songs on a few mixes. And now, just this January they've released a new EP titled Winter. It's a great mix of upbeat and mellow-ish tunes perfect for this really drizzly March day we've got here. One of the things I love about this duo is that Brooke's voice really shines brightly among Jack's perfect vocals, and their musicality and artistic creativity has me hooked. I'm keeping my eyes on this couple and can't wait to see what they do next. Like them on Facebook to keep informed about Jack and White news. P.S. 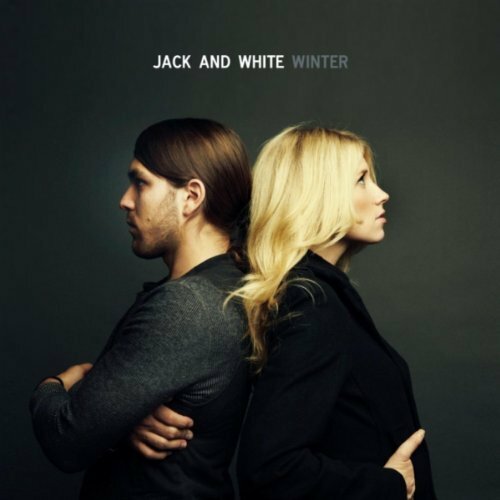 I'm also really hoping to catch Jack and White in concert someday. That would be rad!